Religion and the Rebel, successor to Wilson’s internationally acclaimed The Outsider is an outstanding and enjoyable book that combines philosophical analysis, historical interest, and religious insight. 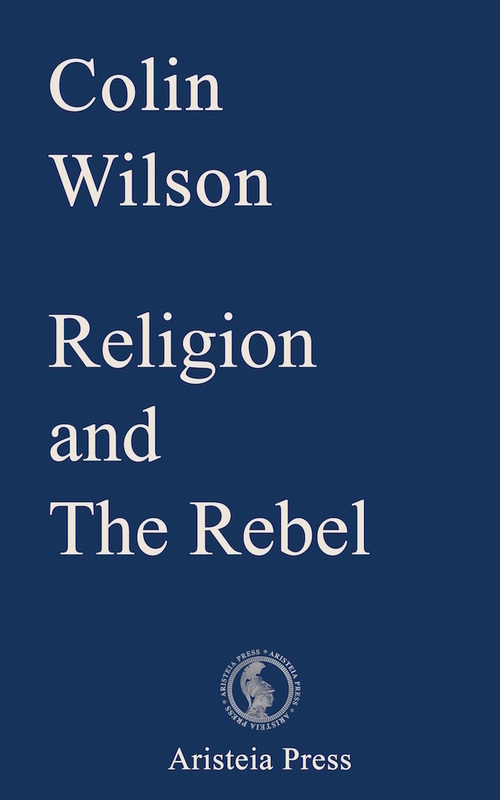 Religion and the Rebel is according to Wilson himself a more comprehensive and positive book than The Outsider. Now available after 27 years out of print. Examining the lives and works of Nietzsche, Kierkegaard, Rilke, Shaw, Pascal, Swedenborg, Rimbaud and Scott Fitzgerald, among others, Wilson explores the main existential questions and shows how these remarkable writers, scientists, philosophers, and poets faced their need for transcendence. Like many of us, they were driven by a need to become more than men.